book your own vacation right here online in minutes. sell your information to any one. drivers license and credit card for identification and check in. Mexico accommodations, for 2 and up to 2 children! range of experiences than your typical vacation destination offers. march across the hills and lightning illuminating the sky. 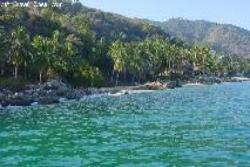 Puerto Vallarta Specials click here! beach and do nothing at all! Puerto Vallarta has it all! and 10 minutes from downtown. typical Mexican style with bright colors.